Uplighting can make any venue look amazing. Also known as mood lighting, it is very popular for weddings as it can change the colour of the whole room with ease to match your chosen wedding colours. Whether you want a single colour or a combination of complimentary colours, our uplighters can create exactly the look you need. Uplighting is so effective because, unlike a DJ setup where the lighting is mainly concentrated on the dancefloor, uplighters are usually placed around the whole room to create an ambience throughout the venue. 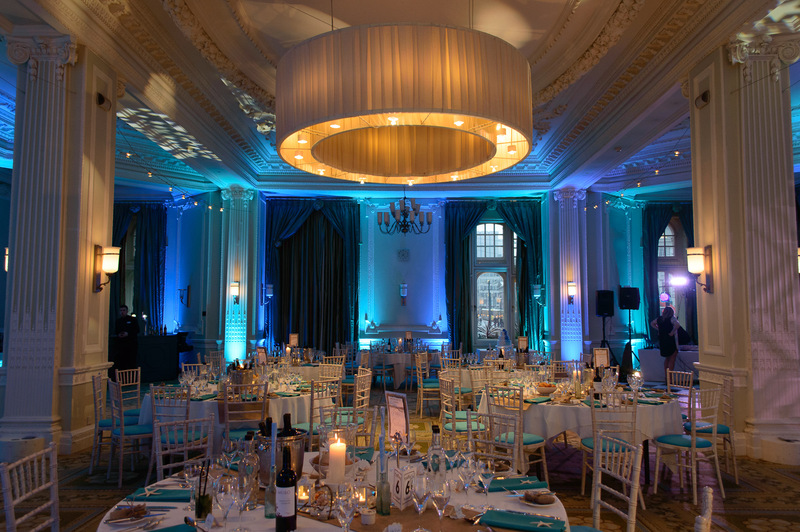 Take a look at our Mood lighting page for inspiration. You can be sure that if you place an order with us then you'll get the best possible service. 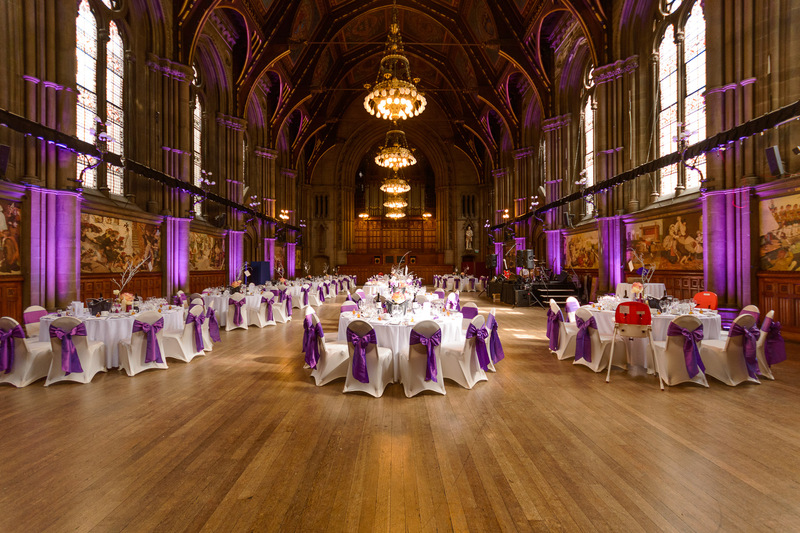 With over 10 years experience in the wedding and party hire industry, we understand the importance of your event, whether it is a wedding, party or commercial project. Every service you use must deliver exactly what is expected and we always endeavour to exceed your expectations. Sometimes our customers have very specific requirements, which we are happy to fulfil. Sometimes we are simply told "Make the room beautiful!". 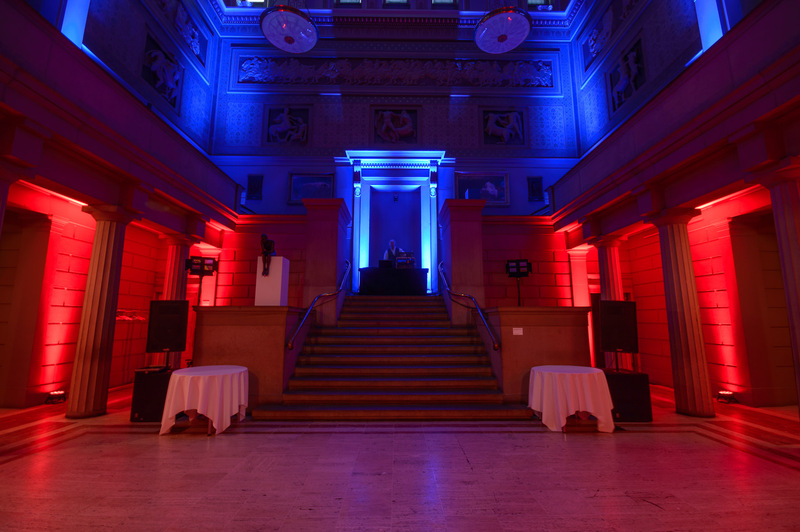 Whatever level of input you want, we can work with, or without you to decorate your venue with light - to a very high standard. We never overbook. In fact, we always carry more lights with us than we need so that in the rare case of a faulty light we can switch it for a new one without any delay. We always leave much longer than necessary to get to you on time so that if we get held up for any reason then we won't be late. Quick note to say thanks so much to both you and Paul. The lights were perfect and really did transform the room, it looked amazing!! Many thanks for Saturday the lights looked great, as the evening continued and dusk descended they transformed the marquee and created the atmosphere we were looking for, we were all impressed that you were able to match our colour scheme so well. Just wanted to say a massive thank you to you all. Excellent equipment and everything was set up perfectly. It highlighted our event. 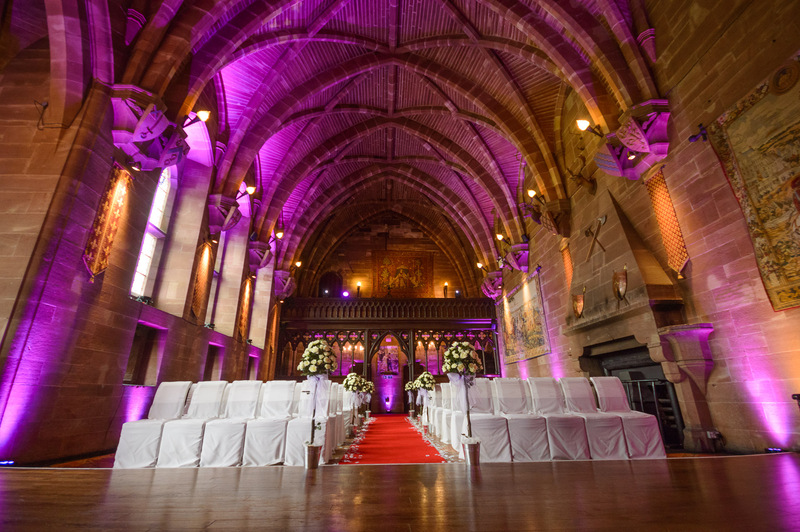 I chose this company to supply uplighters for my wedding, and not only did they add a perfect touch to our wedding, but also they were a real pleasure to deal with offering advice and answering any queries quickly. We are just back from our honeymoon with memories of our wonderful day still in our mind, and wanted to thank you for lighting the venue so brilliantly. You really took on board the ambiance that we wanted to create for the wedding breakfast and evening do and the lighting looked fabulous and everyone commented on how great the gallery looked. In association with TakeAway Disco, uplightinghire.com provide personalised uplighting packages, delivered and set up by our expert lighting technicians.